I really love the sound of strings, but how do I know which ensemble to book and what exactly is the difference between a duo, trio and quartet? While budget considerations sometimes dictate how many musicians you select for your event, often the venue is an important consideration as well. In a small chapel or other intimate setting, a duo or trio will carry enough sound while a quartet is really preferable for a larger church, venue, or outdoor setting. A duo simply means two instruments and we use it to mean a violin (melody voice) and a cello (bass voice). A trio can either be a violin, viola and cello or two violins and cello – there is very little difference in the sound between these two possibilities as the addition of the third treble instrument means you have a counter-melody. 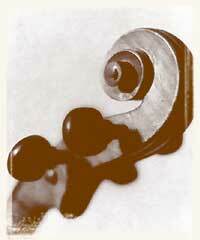 A quartet is two violins, viola and cello and is the fullest sound of the ensembles. With some pieces, a duo will suffice but with others, such as Pachelbel’s Canon, you need at least a trio to get the Canon effect. If you are unsure which would be best for you, we will advise you taking into consideration the venue and the type of music you would like performed. It just depends on the day, the month, the hour, location, etc….Contact us with details of your event, and we’ll see what we can work out! If I would like a different instrument from one listed, or need a band for the reception, can you help me with this? Absolutely! If for some reason I can’t book them for you, I will refer you directly to people with whom I’ve worked extensively and whose work I trust. Please read about referrals here! Do you play or book events in other cities? Individual core members of The Arundel Ensemble perform all over the world (you’ll see some of the concerts listed here) but to maintain the highest quality through hands-on management and performance, we will only book events that our extended core of musicians will be playing. We will play for destination weddings in other locales, of course, if a client is willing to pay our way! If you are needing music in another city, please let me know and I’ll be happy to refer you. We have extensive musician networks all around the world (Dallas, Houston, San Antonio, San Diego, Los Angeles, New York, Chicago, Sydney, Brisbane and London to just name a few) and will be happy to make sure that you’re in the best, most experienced hands! How long should we book you for? We have a one hour minimum and have found that a ceremony, complete with prelude and postlude, rarely takes less time than that. While most ceremonies are completed within a one-hour time frame, if you are planning a Mass ceremony or other more elaborate ceremony it would be safer to book a longer timeframe. Please discuss it with your officiant or minister and they can give you an idea of the length of the ceremony itself, then we will add a half hour on to the beginning for the prelude music – we can prorate the “additional hour” rate of $90 per musician per hour to accommodate the length of your ceremony or event. What if the wedding ceremony takes longer than planned or we start late? Due to the nature of our free-lance schedules, we often are going from a ceremony or other function to a concert, so additional time can sometimes be a problem. If a ceremony runs 10 minutes or so over, that typically isn’t a problem and we do not charge for it, but if it runs significantly over we may have to charge for overtime. What is the difference between a standard wedding ceremony and a Mass ceremony? Basically, it’s the length of time your ceremony lasts. A standard ceremony, complete with prelude music (music we play while the guests are being seated) and postlude (music we play while guests are exiting) lasts about an hour. A Mass ceremony lasts about an hour and a half and often includes additional musical selections such as hymns which we play either alone or with organ and other instrumentalists. What is the basic structure of a wedding? We start prelude music 20 to 30 minutes before your ceremony begins. The ceremony officially starts with the seating of the grandmothers and mothers, then the men will come out followed by the attendants, including junior bridesmaids, flower girls, and ring bearers, and then of course, the bride! We sometimes play for the lighting of the unity candle or another moment of reflection within the ceremony, then conclude with the recessional and postlude. Most weddings at least generally follow this structure although there is plenty of room for individual expression – we have played for a special family member, a border collie, complete with flowers around her neck, to walk down the aisle to join the bride and groom before their vows! Who chooses the pieces for the ceremony and how do you know when to play them? We sometimes have brides who tell us “you’re the professionals, play something beautiful” and then we have others who have very clear ideas of what they do – and don’t – want. Usually, brides fall somewhere in-between and know several things they like or at least can give us an idea of a certain feeling they want for the wedding – elegant and tranquil or more joyful, etc. and we work together to choose particular selections. Some pieces, such as Wagner’s Bridal March, have a definite one-place-only function within a ceremony, but many others are appropriate for several different points within the ceremony. We work with the coordinator or find one of your family friends who is able to cue us to begin the first processional and we will know how many people are in the processionals so we can time the piece according to that. We are usually able to find a stopping point in the music that flows smoothly right as the last person in each processional comes to their place, but occasionally we will have to play a few measures to come to a point that sounds natural at which to stop playing. The timing of the processionals is not something you need to worry about — we take care of that so you can enjoy this special time. The wedding rehearsal is primarily to organize who will walk and stand when and where. As we have played literally hundreds of weddings, we have not found it to be particularly beneficial to be there and in fact we would probably be in the way! We will already have the information required to facilitate the timings and flow of the ceremony, but if you or your coordinator would feel more comfortable with someone there, we may be able to arrange for a non-playing representative from the ensemble to attend for an additional fee. Will you play the hymns that we want within the ceremony for our guests to sing? Generally we can play hymns that you would like included. We need a copy of the music for each musician provided, in the key required, clearly marked with the verses you would like us to play. My cousin/aunt/best friend is a singer — will you accompany him/her? We are happy to accompany singers and have string arrangements of some often-requested songs. If your song isn’t in our current repertoire, we may be able to write an arrangement of it for an additional fee, which will vary depending on the length of the song, complexity, and instrumentation. We can also sometimes play from a piano score, but we will need to look at the music before we commit since sometimes pianistic things do not translate well to strings! If we can play from the score, you or your vocalist would need to provide the sheet music, in the key required, well in advance. Whether we are accompanying your singer, or you have asked us to hire a singer for you, we will need to meet to rehearse for thirty minutes before the prelude music for an additional $30 per musician. If you’re wanting one song, generally a thirty-minute rehearsal is adequate, but if you have several we may need to come 45-minutes to an hour before the prelude which will be charged at the same rate of $30 per musician per half hour. I really want a sunset wedding but we’re not sure of the exact time yet – is that a problem? A time change of thirty minutes doesn’t seem like much time, but for us, it can be critical as we often have several things scheduled on the same day and have planned our commitments around specified contract times. Please consult the farmer’s almanac or our local meteorologists, and discuss the details with your venue as soon as possible and have them tell you what time sunset is on a particular day so we can get the details confirmed. If you want to have a window of time in which to have the ceremony, we suggest you book us for longer than an hour for a ceremony to allow for your flexibility. Unless otherwise requested, we wear concert attire, which is tux for the men and long black for the women. If your ceremony or event is more casual, the men can wear suits. For a wedding ceremony, the musician who is taking care of the cues — usually Margaret, but always a member of the core ensemble — will arrive 20-30 minutes before the prelude music starts or rehearsal with vocalist, if applicable. They will make sure the placement of the musicians is appropriate, and consult with the officiant or minister and coordinator to ensure that all the cues are clear. The rest of the ensemble arrives ten to fifteen minutes before the prelude begins. For a reception or party, we all arrive around fifteen minutes prior to start time. My favorite piece isn’t on your repertoire list – can you still play it? Our repertoire list is by no means exhaustive and we like to make our clients happy! Please ask and we can check to see if we have an arrangement of it. If we don’t have one, we will discuss options with you which could include playing from a piano score, buying an existing arrangement or having our in-house arranger do a special arrangement just for your event. Fees will vary depending upon the time involved finding and preparing the sheetmusic, instrumentation and complexity of the song. Just ask us! How well do your instruments carry and is it better to amplify the sound, especially for a reception? Our instruments are acoustic and do not require amplification. For both indoor and outdoor ceremonies, the sound of the strings carries extremely well as the focus is on the ceremony. For receptions, we have a bit more competition! In some venues, we will be naturally amplified by our surroundings, such as marble floors. If it is a large, carpeted room, then we cannot hope to project through the entire room, but rather create an ambience that the people closest to us are keenly aware of and even those further away feel. It is best if we are in a location where people are moving – such as the entrance foyer or near an hors d’oeuvres table so many people can hear us. Do you play outdoor events? A good question, especially here in unpredictable Central Texas! We have shivered and had a hard time physically playing during an unexpected 30-degree drop in March and have been extremely uncomfortable at many, many spring, summer and fall weddings, including 105-degree weather at the end of August. The problem is, there is no good time to plan an outdoor event here as the weather varies so wildly. We would suggest that you consider the comfort of your guests and your own stress levels when deciding between an indoor and outdoor location. All the venues in the area have indoor facilities provided and it’s just one less thing for you to worry about. Having said this, yes, we will play outdoor events but there are some special considerations. Obviously because our instruments are made of wood and are very old and fragile, we cannot play in the most extremes of temperatures, nor when there is any precipitation at all — a slight mist which would feel wonderful to you and your guests would cost literally thousands of dollars in repair work. We also simply cannot play in direct sun — the varnish softens, our perspiration ruins it, etc. It’s not that we’re delicate — who could be, living in this climate?! — it’s that our instruments are the tools of our livelihood and we cannot risk any kind of damage to them. We will find compromises (such as playing on a covered porch if your ceremony is on a lawn, or playing the prelude indoors where your guests are and going outside just for the ceremony itself) but we ask your full cooperation and understanding if we are in a difficult situation because of weather. How far in advance do we need to book you and do you require a deposit? Musicians are a little different from many other service professionals – we do not like to book more than a year in advance because many rehearsal and performance schedules are not published more than a year in advance. We currently have booking close to a year in advance, but it just depends – we have received last minute phone calls to fill in for another group unable to fulfill its obligation or because music was a last minute detail that a bride forgot to plan, so it’s never too late to call to check availability! Once we have determined the details of your event and our availability, we will send a contract to you to return with a $200 deposit. The remainder of the balance is due one week before your event. Any overtime is due at the time of the event. Should we provide refreshments for you? We very much appreciate the thought and for longer bookings, especially those with a buffet, we would appreciate being able to have a bit to eat during one of our breaks. However, please don’t feel obligated to make provisions beyond water and sodas for us for more formal affairs and sit-down dinners.